Is the daddy of drifting and still going strong. Drift King Keiichi Tsuchiya was born in Japan in 1959. One of the Drift Kings favourite cars is the 1980s Toyota Corrola AE86, also known as the Eight Six (Haci-Roku) in Japan. The Drift King has had a long career in motorsport. Keiichi has won many championships in his motorsport career and has competed in races from JTCC (Japanese Touring Car Championships) to races at the world famous Le Mans. Keiichi is most famously known for his drifting skills worldwide. A young Jeremy Clarkson meets the Drift King ???? and a some Japanese street drifters, this is where the whole drift scene started from. This infamous video “Drift Pluspy”, was made early in his racing career and allegedly got his race licence suspended. The video undoubtedly was the beginning of drifting in Japan! When Tsuchiya was a freshman in circuit racing, he got his racing license suspended because of the illegal racing he was still doing (cause of the Drift Pluspy video). In the movie series Shuto Kousoku Trial, he advised street racers to leave the illegal racing scene if they want to become involved with professional racing. 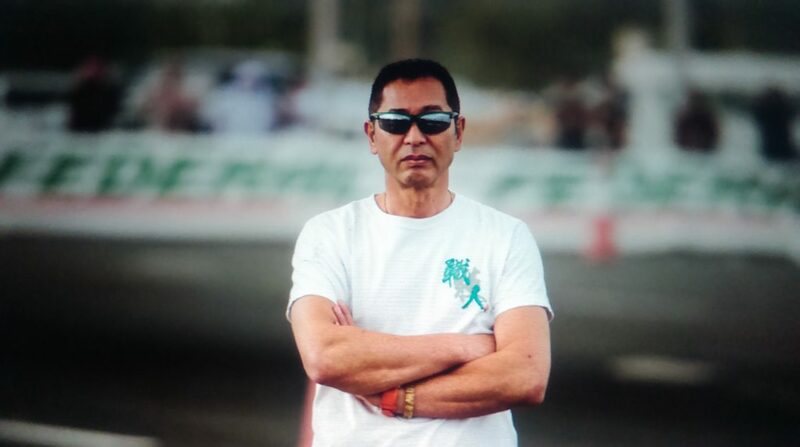 The Drift King Keiichi Tsuchiya can be seen judging at various drifting championships around the world. The Drift King will be one of the judges at This seasons King of Europe 2016. Drift King Keiichi also has a great DVD called “Drift Bible” showing many tips and giving examples oh how to Drift in various types of cars. This is a DVD that should be seen by anyone interested in drifting. Feel free to share and spread the word about the Drift King and leave your comments below. This entry was posted in Drift Mix, World Wide Drifting and tagged drift king, drifting, Keiichi Tsuchiya by T Dirte`. Bookmark the permalink.